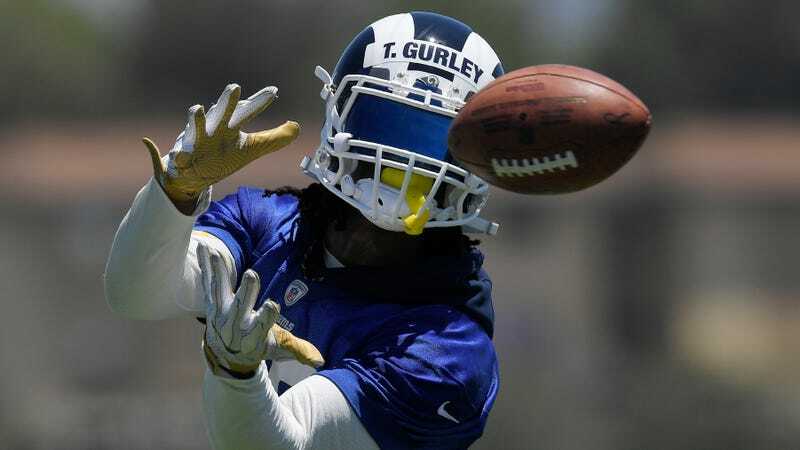 Why Would Todd Gurley Need Preseason, Anyway? Los Angeles Rams coach Sean McVay decided, for various reasons, not to play all but one of his starters in his team’s first two preseason games. Most will sit out Saturday’s game against Houston, including quarterback Jared Goff and running back Todd Gurley. Next week, per tradition, no starters will play in the final preseason game. You know what that means: Gurley is living the dream. Many of the Rams starters, including their top offensive players, will go through the preseason without playing a single snap. Players obviously love this. Coaches tend to hate it. And while both sides have their arguments (“players benefit from the chance to play real football” vs. “lol preseason isn’t real football”), this really feels like one of those things where it’ll turn out that the conventional wisdom is much less wise than it is merely convention. McVay, the youngest coach in the league, has earned the benefit of the doubt. Gurley, the reigning offensive player of the year, doesn’t need a single drive against a handful of second-stringers to prove what he can do. Goff? Well, that’s where this gets a little radical. Goff followed up a disappointing rookie year with an excellent second season. McVay was preparing to start Goff on Saturday, until right tackle Rob Havenstein injured his ankle in practice this week. With left tackle Andrew Whitworth already scheduled to sit out the game, that would’ve meant two rookie tackles protecting Goff. That wasn’t worth it to McVay. “Self-admittedly, this isn’t like an easy answer because there’s a lot of layers to it,” McVay said. McVay gets at a couple of ideas in that quote. These guys are practicing every day; they’re in shape and they know the playbook. (And we know for a fact, from the examples of players who have held out for parts or all of training camp, that even skipping camp altogether doesn’t mean you can’t hit the ground running when the regular season starts.) 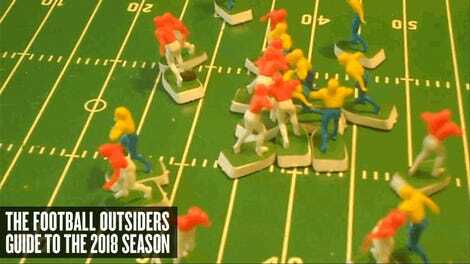 The risk of injury—ask these teams if they’re glad they played their starters—just might not be worth whatever benefits come from a little extra game action. Gurley said that when the CBA expires following the 2020 season, he’d like to see the preseason formally shortened. To “zero” games, he joked, which isn’t going to happen, but shortening the preseason does very much seem like something the owners will be willing to cede ground on, in exchange for things they actually care about. In the meantime we have McVay’s somewhat progressive strategy, which is an entirely unfalsifiable premise. We’ll never know if or how much skipping the preseason affects Goff and Gurley—if they play well all year whether it mattered at all that they came in fresher, or if they come out slow it’ll be because of this and wouldn’t have happened anyway. There is only one thing that’s certain; the Rams’ most powerful weapons aren’t going to hurt themselves in preseason games. That seems worthwhile.